Nobody has seen or done it all, but Jon Sundra has come as close as anyone. He wrote his first article in 1966, and by the early 1970s had risen to prominence at a time when the Golden Era of American outdoor writers was in full swing. The next thirty-plus years was a time he and his colleagues were routinely invited by Remington, Winchester, Weatherby, and Ruger—and by many foreign gun manufacturers as well—to all-expense-paid jaunts to hunt and visit factories all over the world. It was a time long before the Internet, cable TV, and blogging drastically diluted what had been a very exclusive world, a time when a select handful of men—characters, actually—gathered in venues where little business was accomplished but a helluva lot of good food was consumed and adult beverages quaffed. Sometimes even a few gun-related things were discussed! During this period Jon met all the greats of the shooting and hunting world, and this book gives us an unvarnished look at some of the characters of that regrettably gone era. Jon is still active today, after having undertaken over a hundred hunting trips on five continents, not counting those in the States. 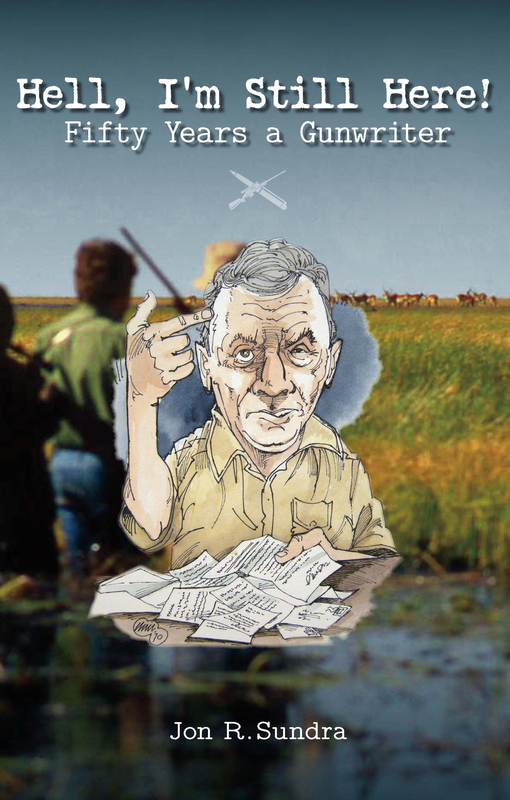 This book is primarily not a description of those hunts, but rather a funny, very descriptive picture of an era in which gunwriters were kings of their domain and had egos to match. Jon cavorted with Elmer Keith, Jack O’Connor, Warren Page, Slim Pickens, Charlie Askins, Bill Jordan, Skeeter Skelton, Bob Milek, John Wooters, George Nonte, Jack Lewis, and others, and he has amusing stories to tell of these giants of the gunwriting world. Many of these men got to see Europe, South America, or Africa for the first time because Jon invited them on behalf of his consulting clients. Some of Jon’s exploits found him in South America where he discovered some long-forgotten bottles of priceless French wine in an out-of-the-way cantina. He even reveals his criminal past, and how, along with Bob Milek, was almost thrown off a train in Finland. Jon is surely the only gunwriter who owns and drives Lamborghinis, and there’s even a chapter on his sporting cars and his sports car races. He travels to Europe two or three times a year on his own nickel on trips having nothing to do with guns or hunting. Today he still writes as field editor for Safari magazine, and is a regular contributor to Rifle Shooter, Gun Digest, and Ballistic magazines. If anyone has ever had a colorful life, surely it’s Jon Sundra. Submit your review for "Hell, I’m Still Here! "